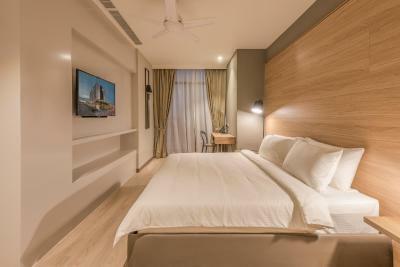 Lock in a great price for Jinhold Hotel & Serviced Apartment – rated 9 by recent guests! 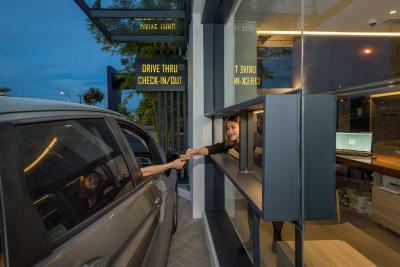 On top of my list is the drive thru check in and check out- super convenient and the facilities provided such as the self laundry and secure car parking. The pool is open 24 hours and we are able to relax at the poolside at any time. The room is considerable spacious and clean. Very relaxing. 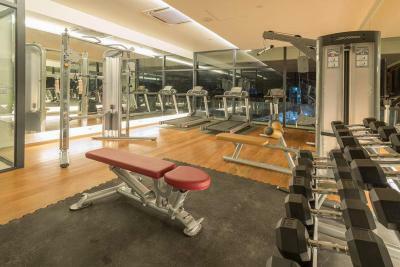 Hotel has a gym room, laundry room and water dispenser. 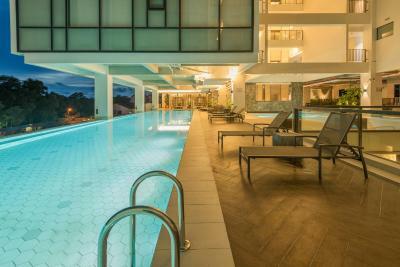 It also has spacious chill out area beside the pool. 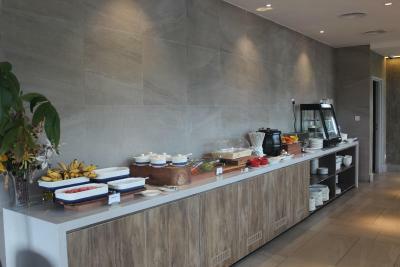 Breakfast wasn't that bad but still there's room for improvement in terms of menu choices and maybe can extend the breakfast option for people staying at the apartment. I had a wonderful stay with my wife. I requested for a room decoration for my wife's birthday and Jinhold was able to satisfy my request, kudos! My wife and I like it very much! The bathroom and the room itself is very clean. The facilities are great too especially the 24 hours swimming pool - we were able to swim beyond 10pm. The apartment was super clean,comfort bed,we cooked during our 2days stay. 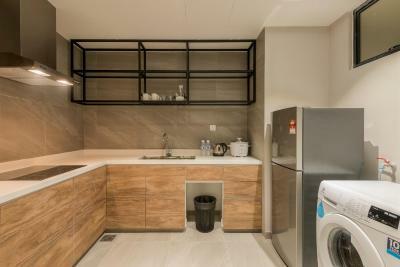 i love the fact that the home is equipped with washing machine and dryer so it is easy for us who travel with baby. swimming was great, spectacular pool view. 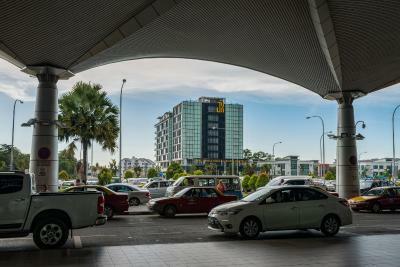 walking distance from Miri airport. I love the most is the drive thru check in/check out. everything is great, will definitely come again if we stop by Miri. recommended to all! worth every penny! 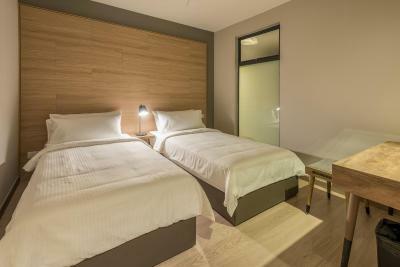 Modern hotel, comfortable bed and well decorated room interior, nice view and good location. 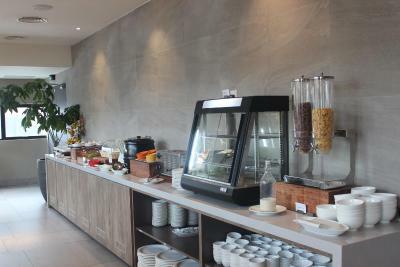 Breakfast is great with lots of selection, nice swimming pool. 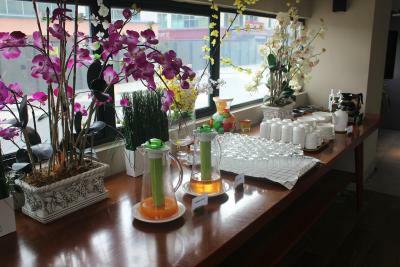 The staff is super friendly and helpful, comfortable place to stay. 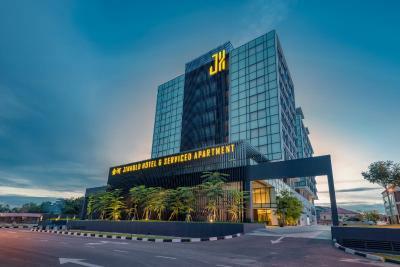 Jinhold Hotel & Serviced Apartment This rating is a reflection of how the property compares to the industry standard when it comes to price, facilities and services available. It's based on a self-evaluation by the property. Use this rating to help choose your stay! One of our best sellers in Miri! 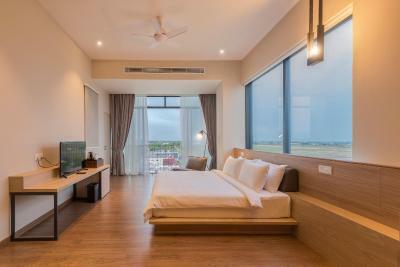 Jinhold Hotel & Serviced Apartment offers nature-inspired accommodations with free WiFI. 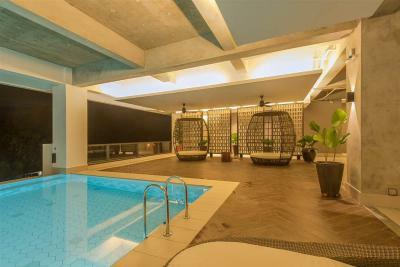 It features an infinity swimming pool, a self-service laundry and a restaurant. 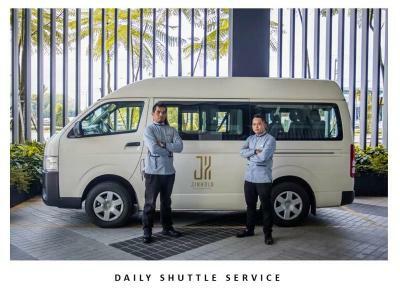 Guests enjoy complimentary shuttle to the airport. 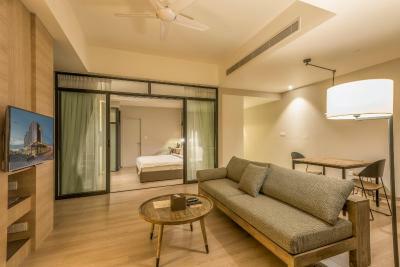 Contemporarily designed, every air-conditioned unit comes with a flat-screen TV and coffee/tea making facilities. 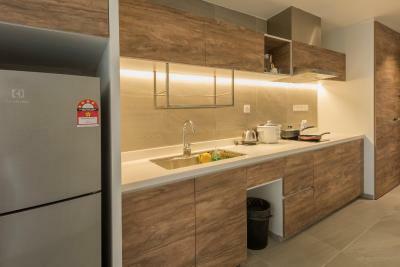 The apartments are fully furnished and have a well-equipped kitchen. 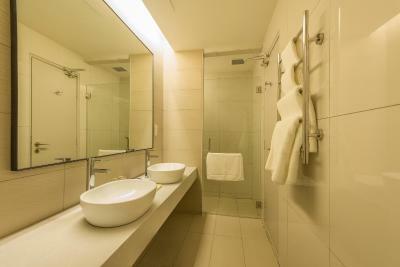 A hairdryer and free toiletries are included in the private bathroom. 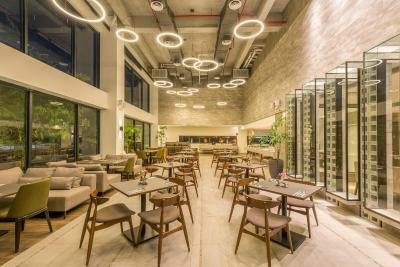 Restaurant MAK serves fusion dishes with indoor and outdoor seating. Room service can be requested. 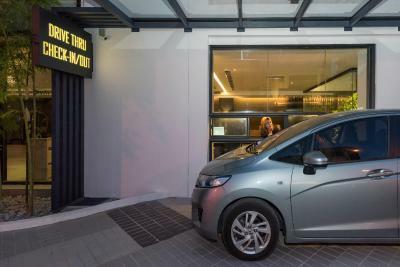 Guests can use the drive through check-in/check-out and the self-service laundry. The on-site vending machines offer snacks, canned drinks and laundry detergent. 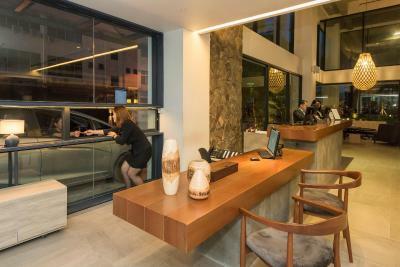 Staff at the reception are happy to assist you with luggage storage and airport information. 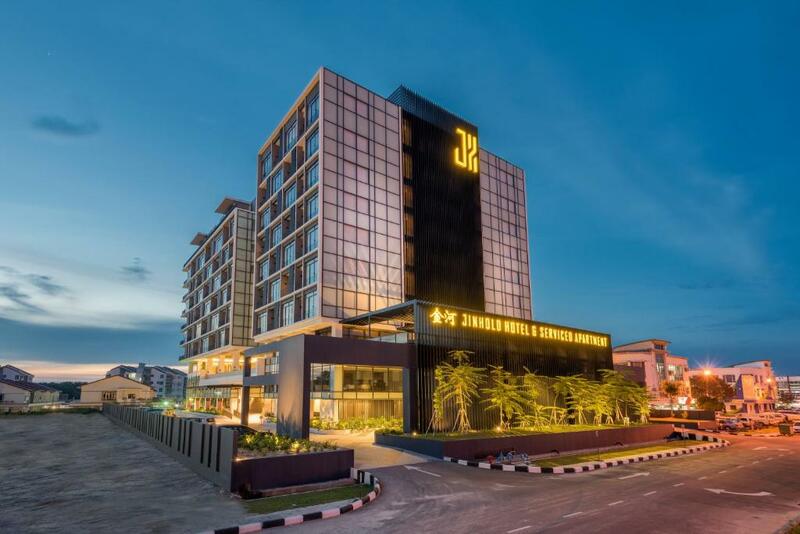 Bintang Megamall is 6.2 mi from Jinhold Hotel & Serviced Apartment, while Miri Public Park is 4.3 mi away. 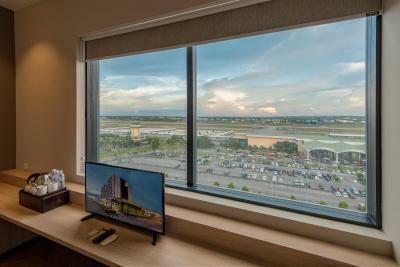 Miri Airport is just 1,000 feet from the property. This property is also rated for the best value in Miri! Guests are getting more for their money when compared to other properties in this city. 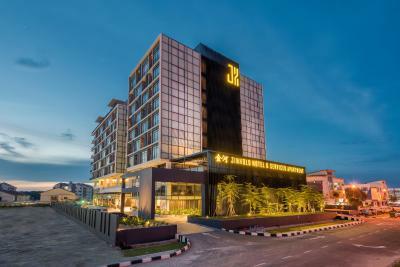 When would you like to stay at Jinhold Hotel & Serviced Apartment? 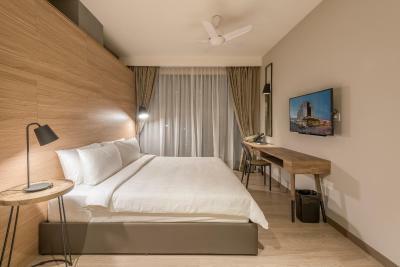 This modern room is fitted with a king bed and air conditioning. 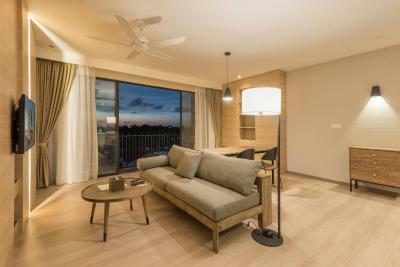 A flat-screen TV and a ceiling fan are also included. The private bathroom comes with a hairdryer. 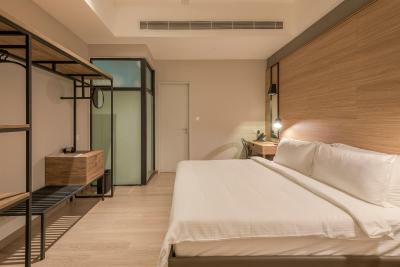 Fitted with 2 single beds, this air-conditioned modern room features a flat-screen TV and a safe. 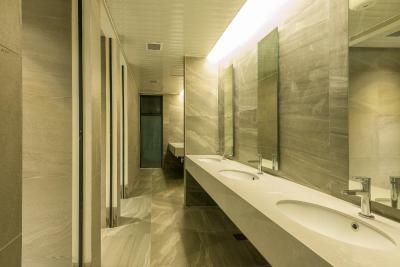 Shower facilities are included in the private bathroom. 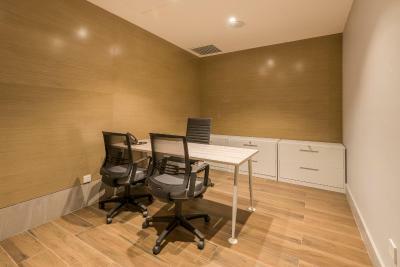 This larger room features modern fittings and air conditioning. 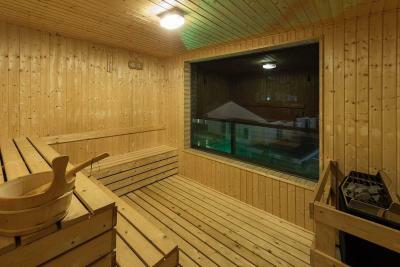 Suitable for 3 adults, it comes with a flat-screen TV and a fan. 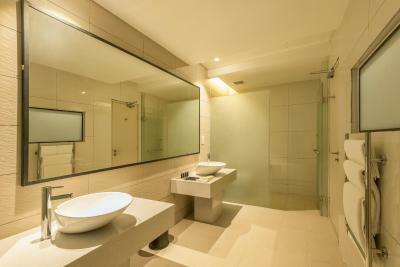 The private bathroom includes dual vanity and a shower. 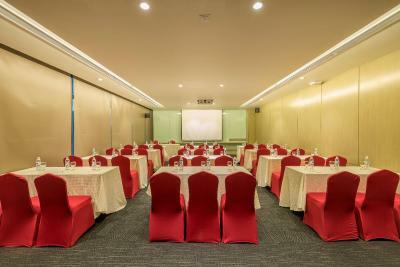 This larger room comes with single occupancy. It is fitted with a flat-screen TV and coffee/tea making facilities. 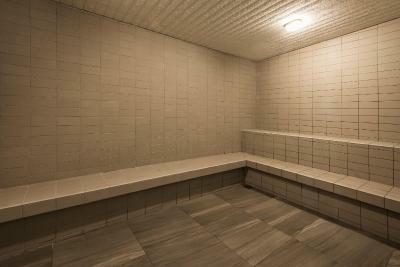 A hairdryer and a shower are available in the private bathroom. 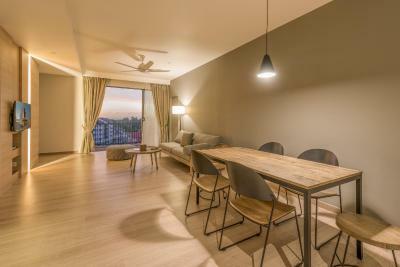 This air-conditioned apartment features a well-equipped kitchen and contemporary furnishings. The seating area includes a flat-screen TV. A hairdryer and free toiletries are available in the private bathroom. 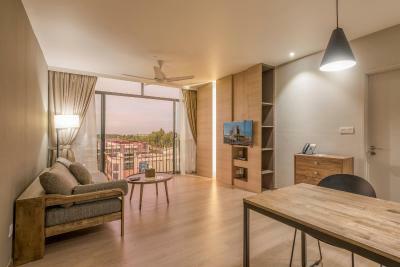 This spacious apartment can accommodate up to 5 people. 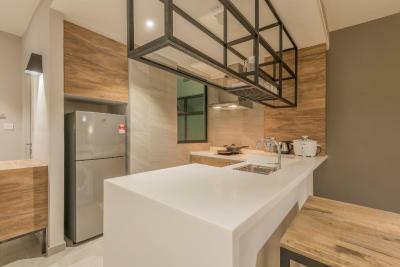 It features a well-equipped kitchen and a large seating area. The private bathroom comes with dual vanity and a hairdryer. 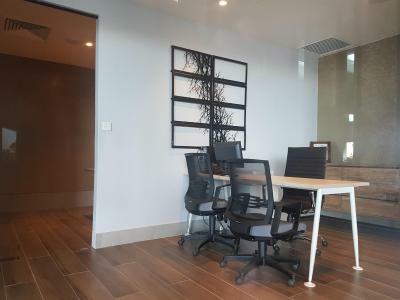 Offering more space, this apartment has 3 bedrooms and is air-conditioned. Fitted with contemporary furniture, it has separate seating and dining areas. The private bathroom includes a rain shower. 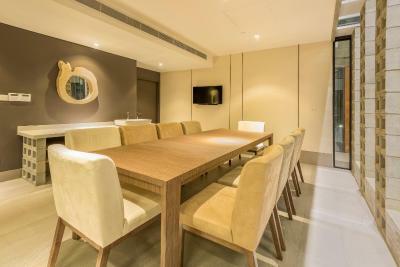 House Rules Jinhold Hotel & Serviced Apartment takes special requests – add in the next step! 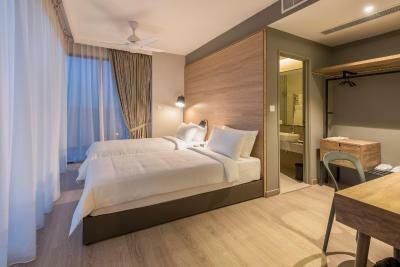 Any additional older children or adults are charged MYR 68 per night for extra beds. Jinhold Hotel &amp; Serviced Apartment accepts these cards and reserves the right to temporarily hold an amount prior to arrival. Jinhold Hotel & Serviced Apartment accepts these cards and reserves the right to temporarily hold an amount prior to arrival. 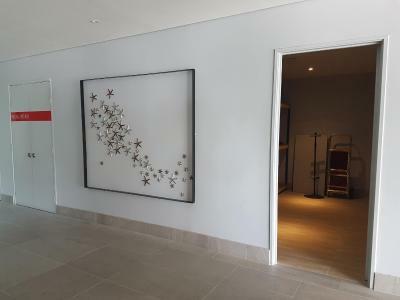 Everything about the hotel. 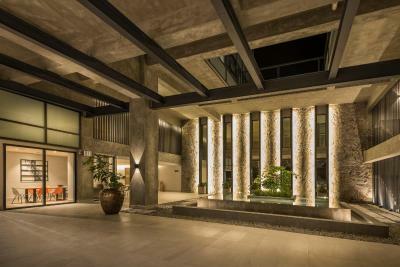 From the services, amenities, rooms. The conjoining room doors are auto closing and should have some mechanism to leave the doors open when needed. 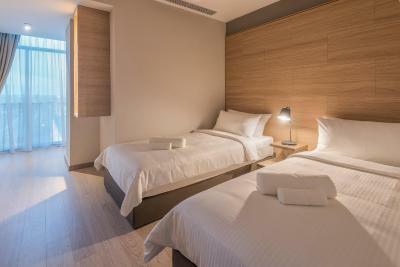 The hotel is new and clean. The infinity pool is nice and breakfast is satisfactory. The elevator seems to have problem especially at level 9. Car parking for extra day charges differ between online booking (Booking,com) and direct booking to the hotel. 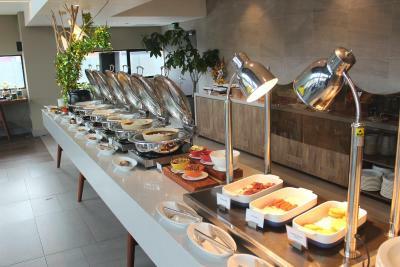 The breakfast food was not refill when we arrive at the hotel restaurant. It took us time to wait for all the foods to be refilled. The swimming pool wasn’t the cleanest. The water in the pool was cloudy. You can hear the noise of the plane taking off when in bed (no surprise). Hotel charged for extra towel. Get the trainee receptionist to smile a bit. You’re not going anywhere with that unfriendly looks. All but the trainee receptionist.